After Dave Q spoke with us about the final chapter of Dub War‘s monthly party, he participated in an attempt to rebuild the bond revolving around those who continue to nurture dubstep’s roots. Called Reconstrvct, it was stressed that the event was not Dub War. But Joe Nice joined the effort and they flew in London’s V.I.V.E.K. to bring the sounds of Deep Medi to Brooklyn. So it certainly felt something like Dub War. Meanwhile, Dave Q’s Twisup party went into hiding. These events foreshadowed a new chapter being officially added to the Dub War story. And tonight at Cielo, it will be told through their Funktion One sound system. Unsurprisingly, it was longtime bass maven Francois K who offered up his night for the takeover. To show they’re serious, the crew has brought along Pangaea, someone who’s had a huge impact on dubstep and its subsequent variations. As cofounder of Hessle Audio alongside Pearson Sound and Ben UFO, he’s helped cultivate a culture of creativity. And as a producer, he’s put out a series of acclaimed, brooding records. 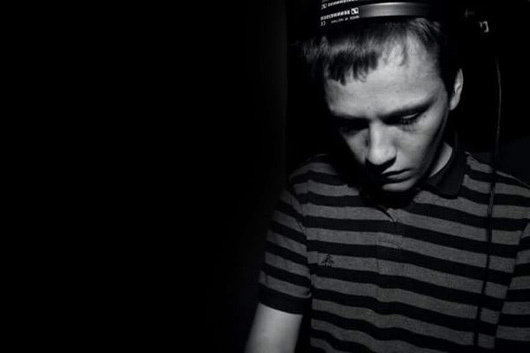 To get an idea of what his set might sound like tonight, check his recent mix for Fact Mag above. It’s diverse in rhythmic structure, full of percussion soaked in a variety of environments, and tainted by dark synths, samples and effects. Overall it’s pretty forbidding in mood – downright dungeonous at times – but has moments of playfulness and euphoria too. Braille will bring his box of cool colors to paint the warm currents of bass as well, alongside Nooka Jones the boy wonder. 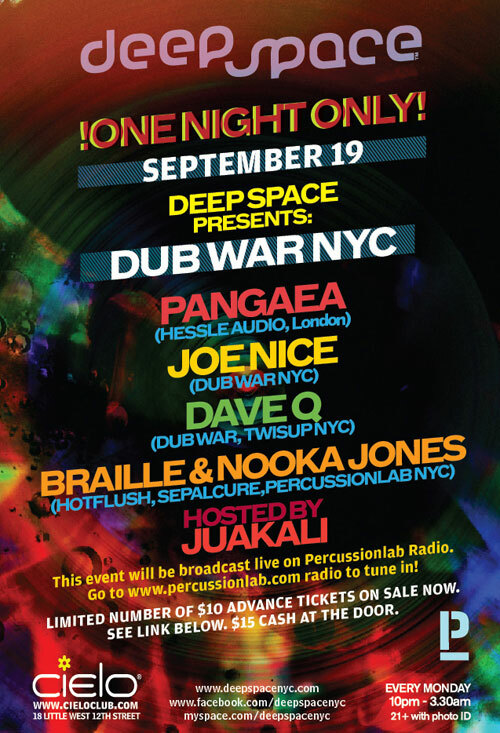 And Juakali, Dub War’s longtime host, will fly over from his new home on the West Coast to join the celebrations. If you can’t make it, you can stream it on Percussion Lab radio.